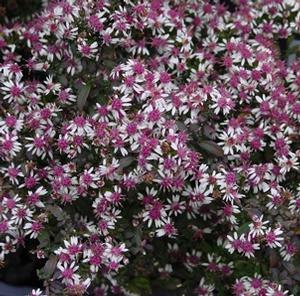 Eggplant-black foliage covered in nearly white, light pink blooms with raspberry centers. Excellent cut flower. Blooms September-October.